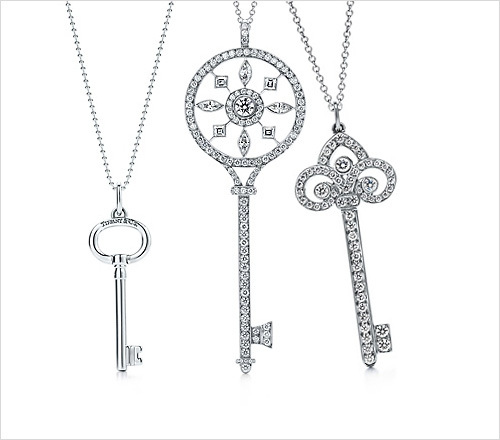 Inspired by the key from the Tiffany museum piece,which was made by a group of experienced goldsmiths and silversmiths,this Tiffany Keys series is both classic and delicate.The keys used to be the keys for jewelry box,souvenir box,album,diary book and Other museum piece keys usually have gem stones embeded on them and designed into brooches and pendants,which were once coat of arms or as gifts for celebrities. 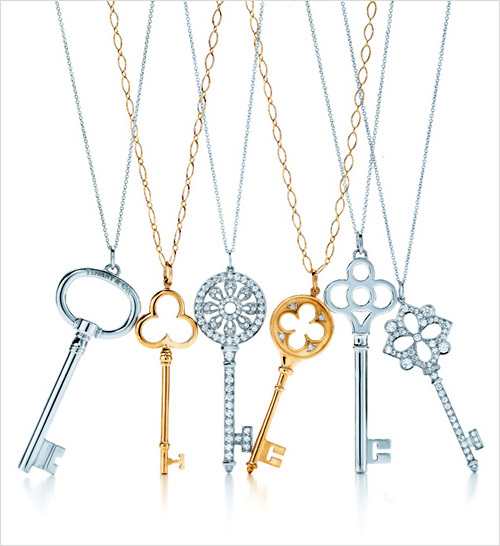 The Tiffany keys series is derived from these legendary”amulet”,whose stories have been reillustrated and redefined by Tiffany classic pendants or accessories.With charming history and best quality,the keys are hanging on the round or oval links.Each Tiffany Key takes on a gorgeous,funny and unique look,with 18 K gold,rose gold,platinum embeded or sterling silver available. 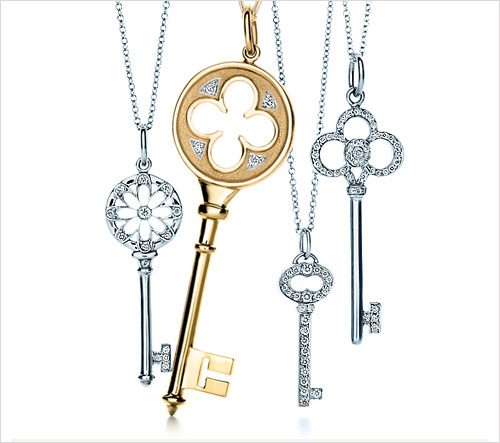 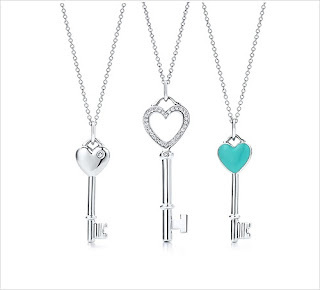 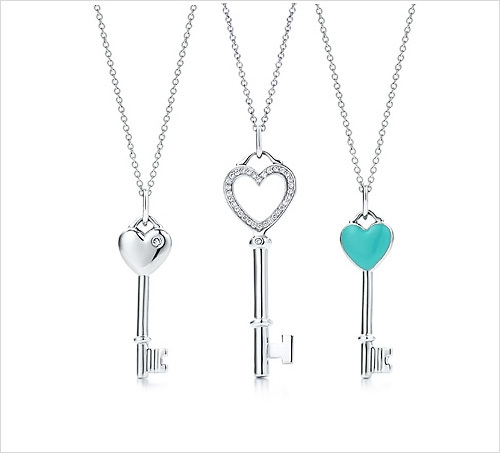 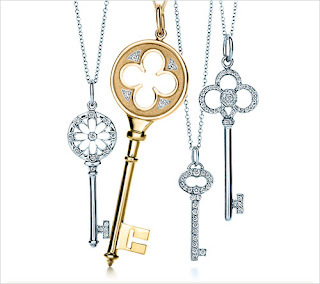 The design of the Tiffany Keys is not limited to one pattern,instead,traditional “keys” have new demonstration here-such as the medal-shaped,forseeing confidence and promise to achieve success; the heart-shaped key means loyal to romance;poetic floral key sends forth feminity. Moreover,the keys with twinkling diamond will bring you to a different luxurious world. 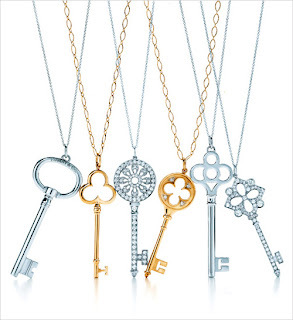 Tiffany Keys can release itheir inherent fashion. 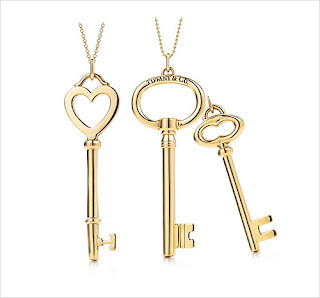 No matter you wear it alone or by layering matching.As a guardian for your secrets.it can not only stimulates your curiosity and ownership,but also allows you to roam with endless romantic emotions.